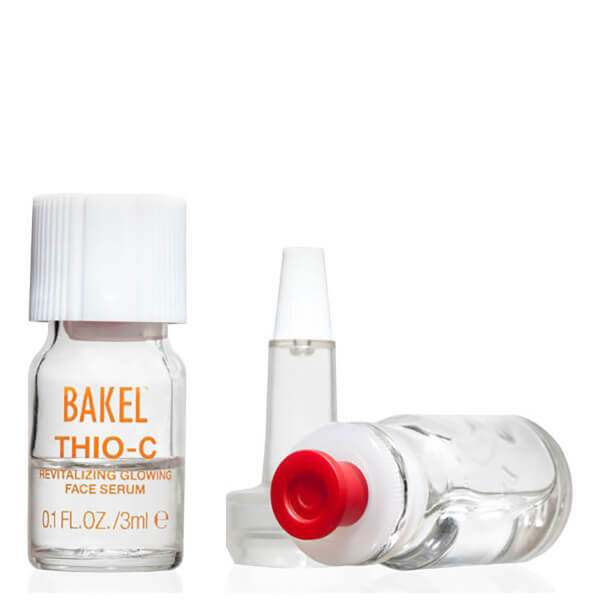 Achieve bright, younger looking skin with BAKEL THIO-C Revitalizing Glowing Serum. Fortified with a synergy of natural actives, the anti-ageing formula works to unify skin's tone and smooth out any unwanted lines and wrinkles. Instantly brightening the skin, the illuminating formula combines vitamin C powder with antioxidant glutathione to revitalise and firm the complexion, resulting in reduced wrinkles - including unruly fine lines around the lips and delicate eye area. Promising to restore vitality, the glowing serum will eliminate dull and uneven tone caused by sun exposure and pollution. Keep away from direct sunlight and heat sources. Sign the opening date for your freshest vitamin C.